I’m in San Francisco for the weekend to race in the San Francisco Dragon Boat festival. I didn’t do any advance planning seeing as every moment of the weekend I knew I’d be busy racing or partaking in other dragon boat team related activities. But when we landed in SFO late on Friday morning, I realized I’d have time for lunch in the city. I wanted to try to snap some photos and knew I had to take advantage of the free time when I could, so my brother, another teammate and I decided to walk the streets to see what we could find. After a while though, we became very hungry and needed a plan. 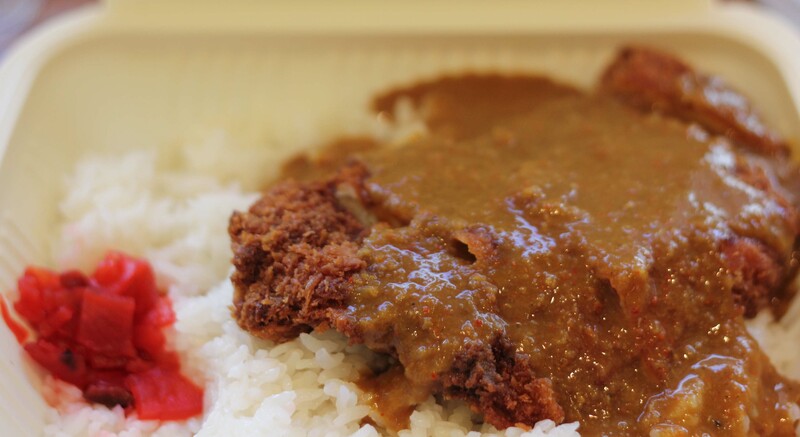 My brother seemed to remember reading about a Japanese curry place that was mentioned in the 7×7 Big Eat SF: 100 things to eat before you die list. A quick google search and we realized that we were only a few blocks away. When we walked in to Muracci’s, I was overcome with joy from the aromatic aroma of curry, (or in Japanese called kare). I was tired and exhausted and this down “home” cooking was exactly what my soul needed. This is a tiny restaurant and it was busy. But the line moved quickly and before we even had a chance to think about what we wanted, our order was being taken. I didn’t want to hold up the line-up of locals behind me so I ordered the tonkatsu curry because it seemed to be their specialty. At the cash register, I noticed that they had just pulled a fresh batch of korroke out of the fryer, so I asked to get one of those to munch on while I waited. 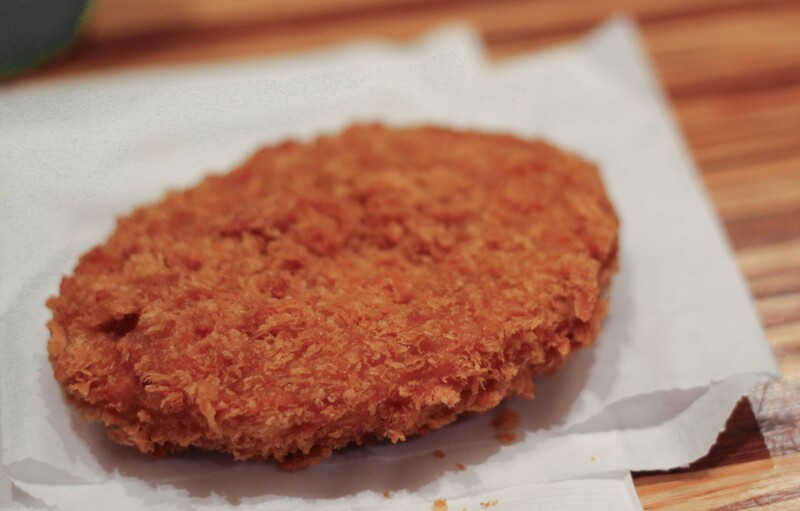 A korokke is a Japanese croquette, (fried creamy mashed potatoes) and one of my favorite things that my mom makes. Light & crispy on the outside and creamy potato-y on the inside. The filling to fried ratio could have been better, ( I wanted more potato), but was a great 1st taste of Muracci's. You can order brown or white rice with your kare. Seeing as we were in California it seemed everyone was ordering brown rice, but I’m a traditionalist when it comes to most things Japanese so I got it with white rice. Pork tonkatsu kare - the generous cut of pork was fried to perfection and the meat was so tender and juicy. A lot of thought and care goes into the food at Muracci’s. Every order of kare is made to order and the kare sauce is served on the side to preserve the crispiness of the tonkatsu. Each batch of kare is said to take two days to prepare and that results in a wonderful complexity and depth of flavour. I ordered mine medium spicy, and thought it was a bit wimpy but as I ate my way through the meal the flavours became more and more spicy. It was unlike any kare I’ve had in Japan or ones I make myself, but delicious nonetheless. Next time I’m in San Francisco, I’m definitely going back. Next PostNext VOTE NOW for Connor & Ally!